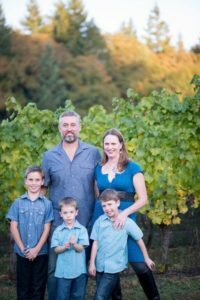 Spindrift Cellars® is a small family-owned boutique winery located in Philomath, Oregon, owned and operated by Matthew and Tabitha Compton. 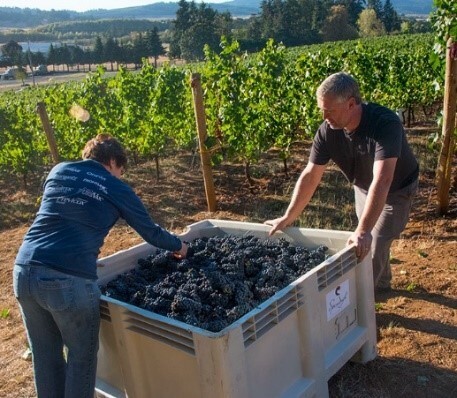 From the first vintage of 2003 the Comptons have dedicated their careers to producing sustainable Oregon Pinot Noir, Oregon Pinot Gris, Pinot Blanc, and Syrah. They make wines that are true to the varietal character of the grape, made with fruit from vineyards they manage, using sustainable wine grape growing practices. Spindrift wines have garnered many awards and recognitions, including ratings of 90 and above; selection as Best Buy and Top 100 Wines of the World by Wine Spectator and Wine Enthusiast magazines; and Best of Show and many gold medals at Oregon wine festivals. 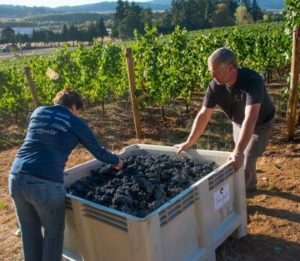 Matt Compton recently celebrated his 20th grape harvest since moving to Oregon. At the age of 22, Matt arrived in Corvallis and went to work for Oregon State University, managing a research farm for wine grapes. The New Jersey native and father of three then launched his vineyard management company, West Vine Farms; which led to the creation of Small World Wine Company, Matt’s winery and distribution company. He created his first vintage in 2003 and moved into Spindrift’s current facility a year later. Matt and Tabitha have approached building their winery business with passion and intelligence. They started small, focusing on producing crisp, quality wines that display the true varietal characteristics of the grape. A great bottle of wine starts with great grapes, and Matt brings many years of experience and expertise to the husbandry of the vineyards in his care. Using “Certified Sustainable” practices he strives to produce fine wines that are sustainable from vine to bottle. As Spindrift has grown, Matt has continued to produce wines that are fruit forward, earthy, and expressive of the Oregon vineyards that produce them. It has taken much hard work, determination and savvy, but it is also a labor of love; and the results are a full line of nationally recognized fine wines offered at consumer friendly prices.